This was from our first day in Baltimore at the art museum just up the street. 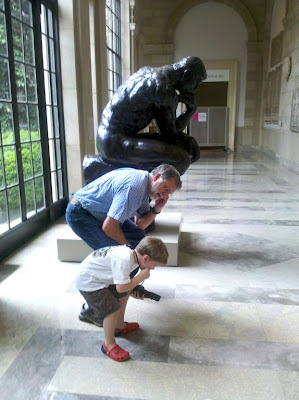 Grandpa and Cory imitating the statue. Aunt Allison took this on her phone and emailed it to me as I was helping Noah nap. More stories and pictures coming soon! Wordless Wednesday: Christmas in June? Wordless Wednesday: New or Old?